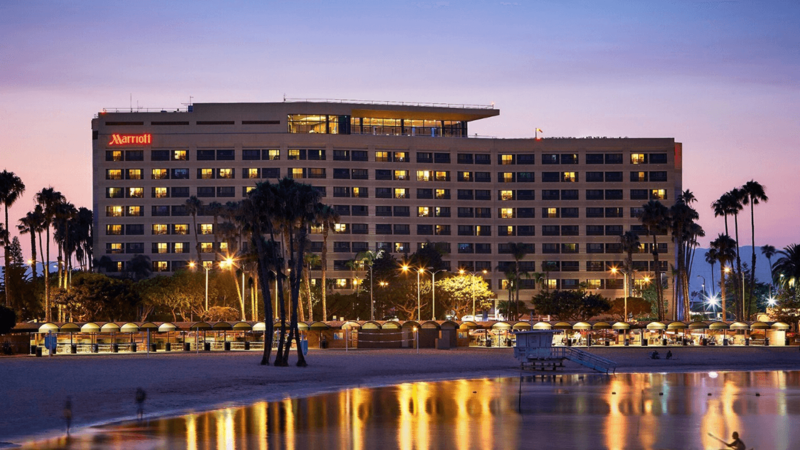 Marina Del Rey, CA location. 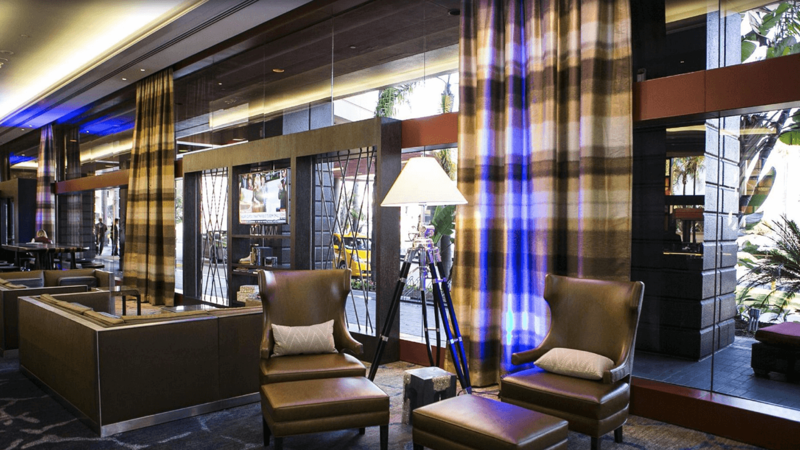 The Marina del Rey Marriott in the heart of one of the most desirable coastal communities in Southern California, and surrounded by nearby Santa Monica, Venice and Playa Vista. 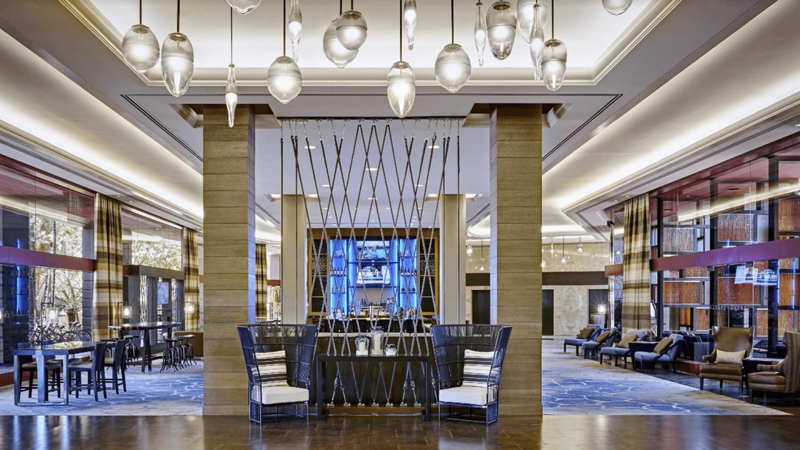 With their brand new lobby, inviting outdoor lounge and spacious new guest rooms offering panoramic views of Marina del Rey, Southern California coastlines, along with city and mountain views of the entire Los Angeles basin. 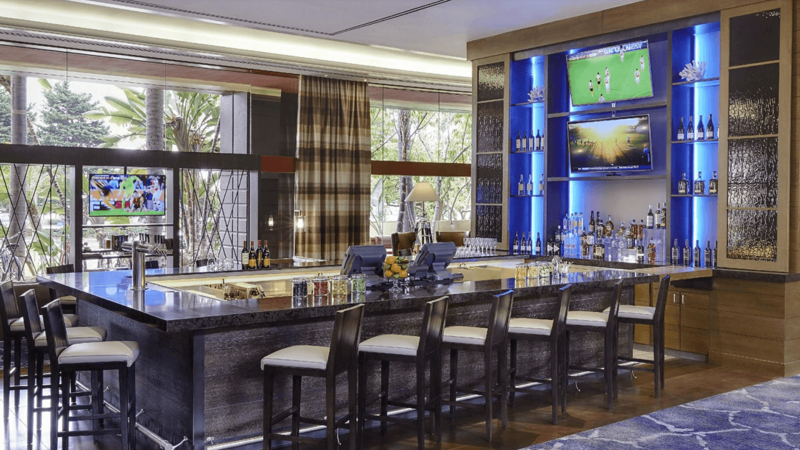 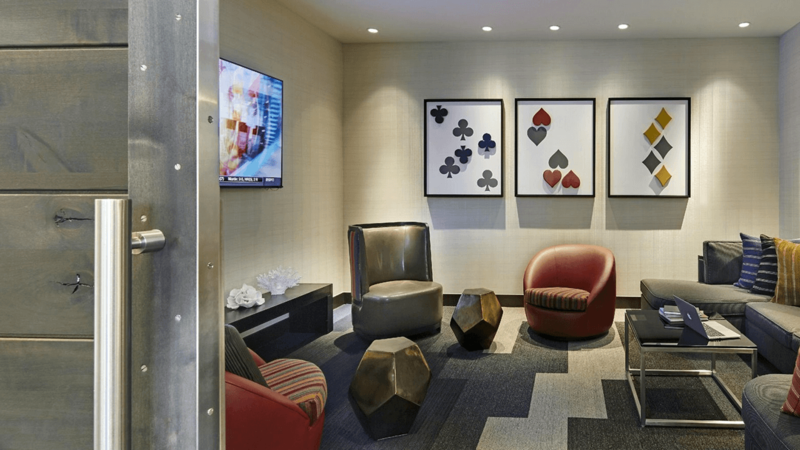 Challenge: The Hotel was undergoing an extensive remodel for their Lobby & Bar areas and required a visually & audibly impactful audiovisual system to reflect the fresh design of the new public spaces using DirecTV service, digital signage displays and a new background audio system.